AirAsia has entered a deal with the World Electronic Sports Games (WESG) Asean that will see it become the official airline partner of the championship. This partnership includes flights, media value, and cash prizes, and adds to AirAsia’s ever-increasing commitment to the esports industry. WESG is an international tournament from Alisports, a branch of Alibaba Group. Acting as a title sponsor, AirAsia’s logo will be present across WESG Asean’s digital platforms. The airline will also “offer various ancillary products and services” at the tournament, including an online store and ticketing agent. Online registration for WESG Asean will close on July 31st, with the ten countries that comprise the region running online tournaments that lead to regional finals, and ultimately, an international grand final in March 2019. 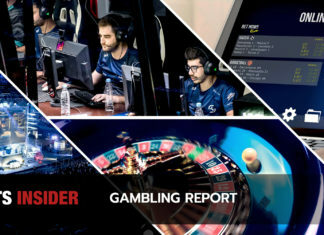 Esports Insider says: AirAsia’s commitment to esports, and its presence in the industry, seems to be forever growing. From the acquisition of a majority share of Team Saiyan to creating its own esports club to now sponsoring WESG Asean, the airline is proving to be a major supporter and mainstay in competitive gaming.